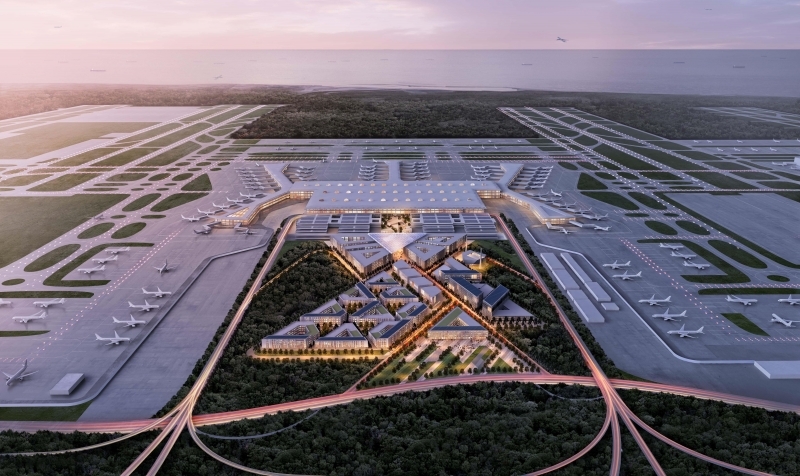 BIM is essential for the construction of the Istanbul Grand Airport (IGA), one of the world’s largest airport projects currently under construction in the Arnavutköy district, Turkey. 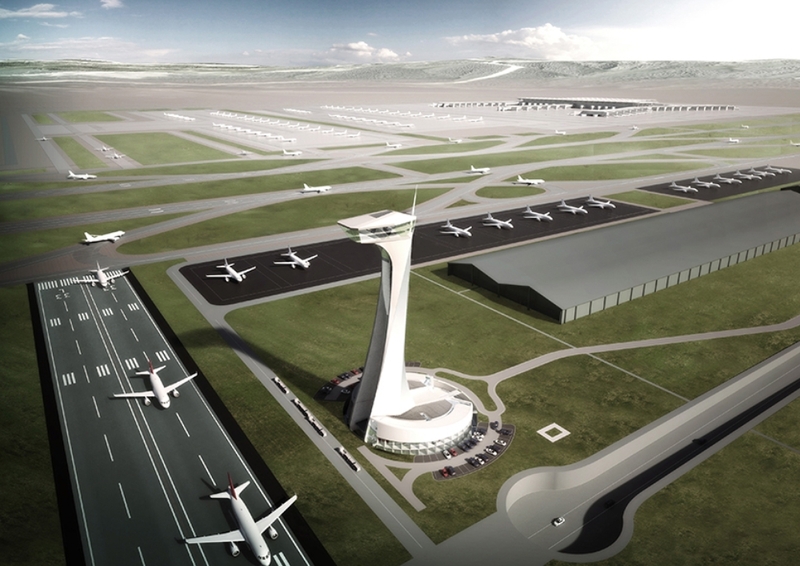 It will be the third international airport to be built in Istanbul after Atatürk Airport and Sabiha Gökçen Airport. The infrastructure will be ready to host nearly 150 million annual passengers and will be ready for opening on 29 October 2018. 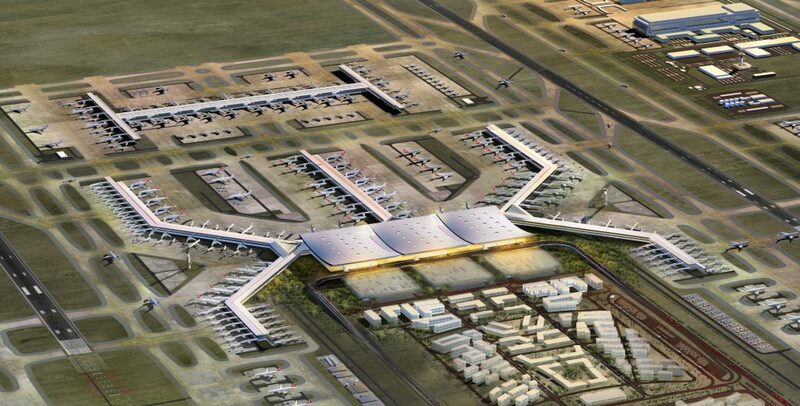 Due to the large dimensions of the airport, the project range has been divided into 4 phases. 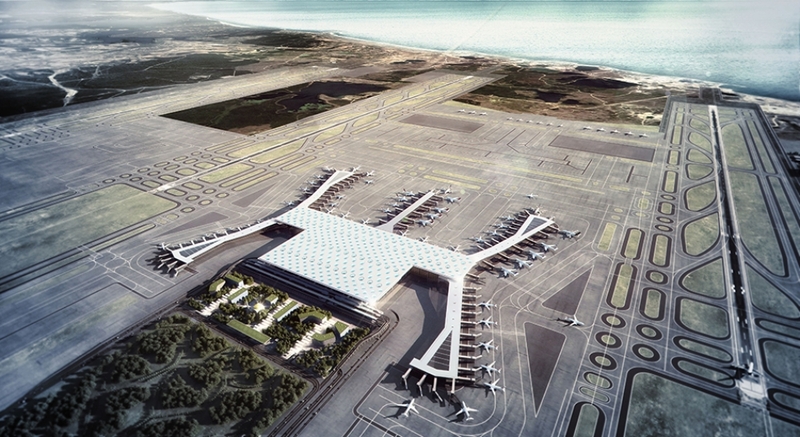 The first one includes the construction of 3 runways, a terminal with 5 piers with an area of 1.3 million m2, a parking with an area of 700,000 m2 and other site facilities. According to the project scope, the most important assets of the main terminal building, runaways and emergency exits will be easily achieved. Once the 4 phases are done, the project will provide nearly 72 million m2 of airport with 6 runaways, supporting up to 3K take-offs and landings each day, 2 million passengers a year and 350 worldwide destinations. With this numbers, the project is one of the most ambitious projects in modern Turkish history and it’s planned to generate billions of additional euros each year along with new employment opportunities. For Yusuf Akcayoglu, CEO of the IGA company in charge of the project, it is essential to keep control of the whole process in order to achieve the strategic goals in terms of both time and value management. The project progress relative to milestones, and the start date of the commissioning of the airport scheduled for 2018 was the most important KIP so far. The rapid progress of the aviation sector urges to develop outstanding standards according to the baseline schedule of the company. They are creating not only an airport but also value for people. Investing in people is the key point for the performance of the IGA. Therefore, health and safety have become the top priority to sustain the level of efficiency in the company’s performance. They have developed a strategic plan including worksite analysis, standard and external training. On the other hand, engineering, QA/QC and the use of technology it is also very important. Actually, the company developed a collaborative environment with the subcontractors and has been delivered by tablets and phones. This initiative has provided engineers with the technical equipment needed to reach current project models on a cloud platform. The Green Airport is an environmental management plan that includes activities around biodiversity, application of afforestation protocol, a wildlife management programme and a bird radar system. The aim of the plan is to decrease the environmental effects during the construction and during the operational stage too, so the building received a LEED accreditation, that will be fully completed at the operation phase. A large project like the Istanbul Grand Airport requires a big number of professionals working in it. Yusuf Akcayoglu is the CEO of IGA and is in charge to develop and execute the BIM implementation at all stages starting from design, construction, and operation. At the same time, it is important to manage the use of the appropriate technological procedures and people transformation. On the other hand, he's also in charge of the coordination and engineering of all the disciplines of the airport and the virtual platform. The complexity, size, and duration of the project are quite challenging. BIM will play a major role in executing engineering and design to boost the capabilities of both design and construction, which is an important indicator to be on time. BIM allows controlling the subcontractors and erases any unexpected costs at the same time it reduces on-site waste like cost, time and quality. In this project, it is also very important to be aware that the major advantage provided by BIM is no that technical but to bring people together in a collaborative environment. The IGA company has developed a strategy for designers, subcontractors and any relevant parties, and hosts all disciplines in a virtual collaborative work environment. A BIM strategy allows the company to have authority over their subcontractors at the same time they manage the work and delivers it on site to the client. Their key subcontractors have rigorous obligations and they use BIM in their work process because they know it should lead the programme, cost plan, quantities, and construction methodology, at the same time it improves safety and reduces waste. The same moment the company started to generate a BIM Plan, they carried out an accurate work to examine the capabilities of the designers who are not familiar with BIM and to consolidate their process after that. To sum up, they have begun integrating the BIM Plan with the project designers using interface management procedure. By creating a 30-month plan, IGA can cover the life cycle that includes a strategy that defines design development, construction documentation and construction stages. One of the most important points in the process of applying BIM in construction is being able to lead the project individuals (designers and subcontractors) to get familiar with the use of BIM products in a coordinated way. Another important aspect is to set the integrated project delivery in a virtual room, also known as BIM Room, provided by the company for coordination, collaborative work and making decisions with both subcontractors and designers. The most important part of the application is the way these key points are reflected, considering they are done with 150 iPads including all coordinated BIM models used by site engineers. 2D shop drawings are also provided for the field, apart from 3D models. The engineers of both superstructure and infrastructure can reach QA/QC, integrated into a cloud system, with their iPads. All these procedures take place on the Autodesk 360 Field platform. The company has generated the biggest 4D model in the world, integrating more than 30,000 activities into the model to know the daily and monthly progress to have a dynamic control over the progress of the project. Once the airport is done, it will be operated for 25 years, including the operation stage where BIM will play a major role. This methodology will allow to reach the necessary information, solve future operation problems related to the airport systems along the pre-commissioning and maintenance stages. In addition, BIM will be used for all dimensions. The 6th, that includes both facility management and lifecycle management stage, is planned to start after completing the first phase. With this project, IGA has started to lead and set benchmarks in both the AEC industry and digital construction. 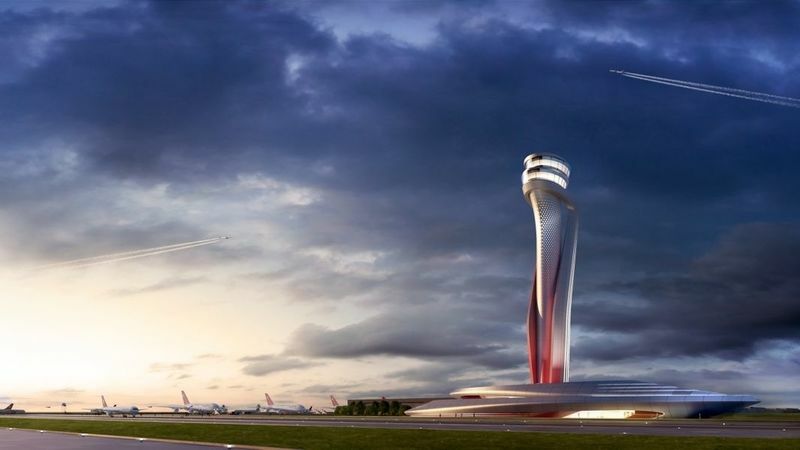 The Istanbul Grand Airport project has accelerated the BIM adoption in Turkey, becoming a key learning hub in the Turkish Construction Industry. As usual, replacing conventional methods of construction adopted by this sector with new technologies have become the most challenging part of the BIM adoption process. According to Akcayoglu, only with a strategy and a decent execution, this cultural change will be achieved. This means that only a theoretical background of BIM is not enough, it is also important to outline a right strategy for the future.